Brown light hair, brown-green eyes (colour changes), 6.01 ft, left handed, Sean Harland Murray is a handsome boy born in Bethesda, Maryland on November 15, 1977. 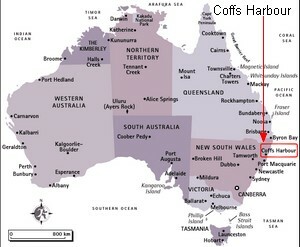 He spent a part of his childhood meadows of Coffs Harbour in New South Wales (Australia) and holds dual US/Australian citizenship (his mother is a former Australian champion of fencing). He joins California during his adolescence. Sean is awarded a diploma by the Bonita Vista Junior High (called now Bonita Vista Middle) to Chula Vista in California. Her mother, Vivienne, is the current wife of the producer and the creator of the series, Donald P. Bellissario. When Sean speaks about Michael Bellissario (who played "Chip" in the season 3 of NCIS) and Troian Avery Bellissario (who plays Timothy McGee's younger sister, Sarah, in NCIS), he says my brother and my sister. His brother Chad W. Murray was the victim in the episode "The Immortals" (1x04), and now he happens to work as post-production coordinator on NCIS and is responsible for Doctor Donald "Ducky" Mallard's autopsies special effects. During training for his role as an NCIS special agent, Sean visited a federal law enforcement training center in Georgia, taking driving courses and practicing on the shooting range. In a commentary recording for the 4th season episode of NCIS "Twisted Sister", Sean noted that his father had been an executive officer on board the aircraft carrier USS Enterprise (appointed in the episode: ship where was affected the sailor killed on Sarah's campus, younger sister of McGee). Sean likes playing guitar, snowboard and ski, rise on horseback and assembling computers. He listens primarily to electronic music. Some of his favorite artists are Venetian Snares (name which we can see behind him, to his desk, in NCIS), and Datach'i. His favorite artist is Aphex Twin. He is a huge fan of David Lynch's work. 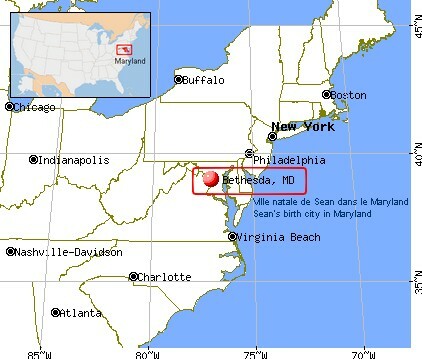 Sean is married and have a daughter born May 3, 2007 and a son born April 22, 2010 (with respect for Sean's privacy, the names of his wife and childs are not disclosed on my site).They live at present in California, near Los Angeles.